Invisible orthodontic treatment has brought a revolution in cosmetic dentistry. 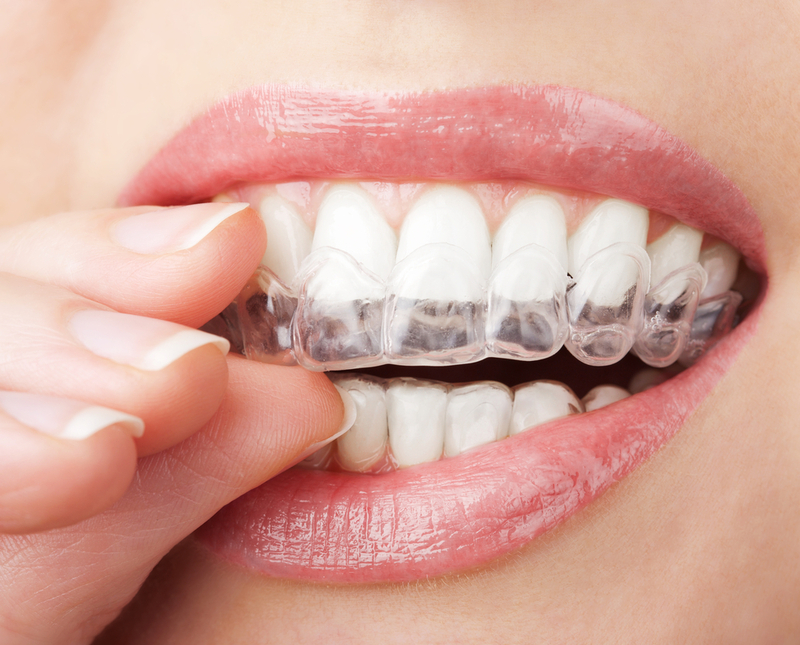 Invisalign® is an appropriate method for aligning teeth without the need for traditional braces. Instead, splints transparent aligners that will change every 15 days or so and go slowly correcting the position of the teeth are placed. This treatment is as effective as traditional braces and allows a much more discreet orthodontics. Nobody will notice it’s there, because it is transparent and exactly the same way as your teeth. Invisible orthodontic treatment is also much more comfortable for the patient compared to the brackets. The fact that they are removable, means that it can be easily removed and put, for example, at lunchtime. With Invisalign® chafing and own wounds brackets are also avoided. Invisible orthodontics treatment is suitable for most people. Still, you need a specialist to analyze your case to determine whether the previously Invisalign® system is suitable for you. Our specialists will be happy to answer all your questions: Your first visit is free. The Invisalign® treatment is not far from what can cost a orthodontic brackets. Normally the price ranges from € 1,900 and € 5,500, depending on the complexity, time and the number of splints necessary. Visit us for exact import depending on the type of treatment you need. See more information in invisalign.es. Dental braces are a very effective solution to correct the position of the teeth and jaw orthodontics. This system is suitable for all cases, even for the most complex. One of its main advantages compared to the Invisalign® system is the price. The orthodontic brackets has evolved considerably in recent years. Thanks to the latest innovations in orthodontics, has improved the comfort and aesthetics of appliances. The Dental Clinic Guiu use the most advanced systems for the treatment to be as light as possible for you. It is an innovative system effective than traditional metal braces more comfortable and. In addition, treatment is faster, requires less visits and provides a much wider and aesthetic smile. They are placed on the back of the teeth, so they are more discreet and difficult to detect. In addition, its thickness is much thinner than the rest of the brackets, so they are also more comfortable. Systems are more focused on high quality and aesthetics. The ceramic brackets are the same color as the tooth and sapphire are crystalline. Both they get an almost invisible look. The Dental Clinic Guiu could deal with orthodontic professionals advise you on the best system according to your needs. Your first visit is free.